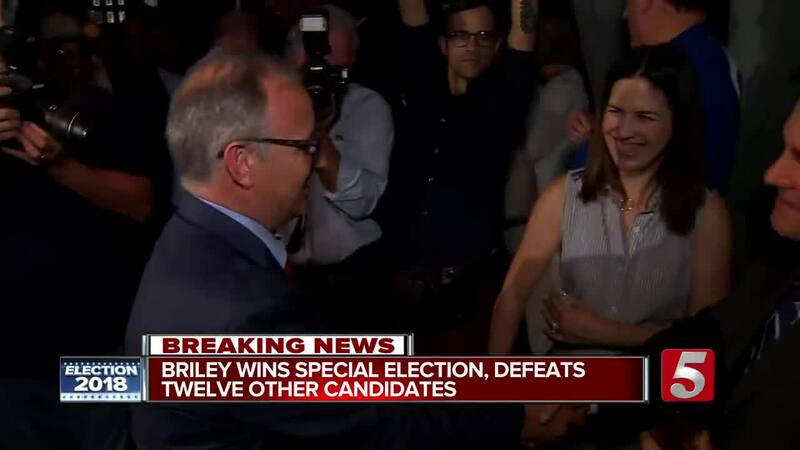 Mayor David Briley claimed Nashville's Mayoral special election with nearly 55 percent of the votes. He claimed an early lead in the Nashville Mayoral Special Election. Early voting numbers put Briley in the lead with 20,140 votes and Carol Swain in second place with 8,272 votes. 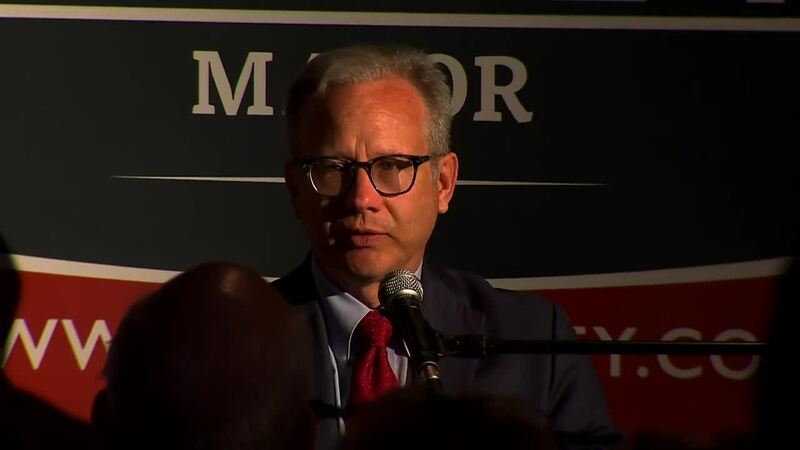 Briley paid homage to his grandfather Beverly Briley who was the first mayor of Metro Nashville, but the newly elected mayor admitted he was disappointed in the way the last few weeks have gone. Having to deal with a massive revenue shortfall, that has kept city employees from getting raises. He also acknowledged a need to rebuild trust in the mayor's office following his predecessor's scandal. Swain conceded, saying in her speech that she didn't know whether or not she would run for office again. "...I've always said that the call on my life was to hold politicians accountable and not to be one and maybe that's right because I intend to hold Mayor Briley and the city council accountable," said Swain. Candidate jeff carr congratulated newly elected Mayor Briley and thanked his friends and family on their efforts during his campaign. "I'm actually elated. The people of Nashville have been hungry to make sure that we have a mayor that was elected and not just selected by the process," said carr. So tonight was a wonderful exercise in democracy and I am absolutely elated that they pushed a political unknown from the bottom of the heap to near the top of the echelon with 22 days and no political machine." Briley will be up for re-election next August. Nashville's former Mayor Megan Barry resigned after pleading guilty to felony theft. She admitted to an extra-marital affair with her head of security in an interview with NewsChannel 5's Phil Williams. Barry insisted no taxpayer money was improperly used during her affair with Sergeant Rob Forrest, but the investigation led to a felony theft charge. She was booked and ordered to pay $11,000 in restitution. Rob Forrest also took a plea deal. Vice Mayor David Briley was sworn in as Nashville's 8th Mayor . Soon after, the next Mayoral election was set for August 2, but on March 12 former Metro Council member and mayoral candidate Ludye Wallace sued, saying an August election would be against rules outlined in Metro's Charter and Tennessee Codes. The Tennessee Supreme Court ruled on April 4 the election be held in May . The decision left candidates and election officials scrambling and taxpayers footing a $1 Million bill to move the race.